The U.S. unit of Deutsche Post AG will spend $300 million on its plan to equip 350 of its 430 facilities with new technology that includes autonomous trolleys that shadow human workers and robots that can pick and sort products, DHL Supply Chain North America CEO Scott Sureddin said. “The maturity of the technology in this area has really improved, so it’s given us an opportunity to make a larger investment,” he said in an interview Nov. 28. DHL, which ceased its domestic U.S. parcel service in 2008, is competing with companies including UPS Inc., FedEx Corp. and XPO Logistics to provide shippers with warehousing and fulfillment-center services that are needed to cope with explosive e-commerce growth. 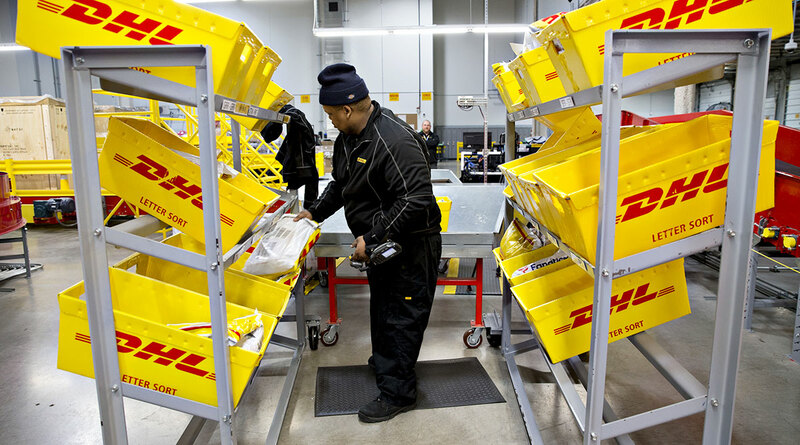 DHL’s e-commerce business in North America is increasing 25% this year. The new gadgets already are showing lucrative returns, improving productivity by 25% and processing capacity by 30%, according to DHL. More is on the way, Surredin said. DHL, the world’s largest contract logistics company, plans to open a 24,000-square-foot innovation center near Chicago in September 2019 that’s dedicated to developing new tools to speed the flow of products. DHL, which has 35,000 employees at its North America supply chain unit, said the equipment won’t replace people, and will be a recruitment and retention tool by equipping and training workers in the most recent technology. DHL Supply Chain is No. 3 on the Transport Topics Top 50 list of the largest logistics companies in North America.